He's a master of fright, and a demon of light. And he'll scare you right out of you pants. 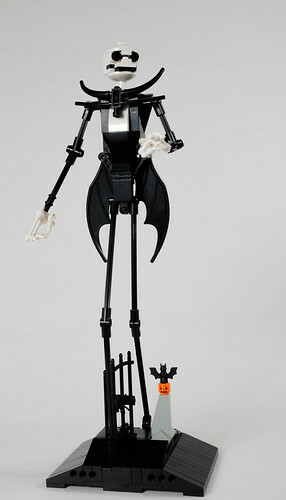 He's Jack Skellington, and he's wonderful. Carl Merriam finally dusted him off (or not) and took a photo of him so we can all enjoy. I love the bat wings for coat tails, and the head is great.